Uncle Sam is Cracking Down on Companies that Promote Venezuelan Money Laundering. Whistleblowers Could Earn Million for their Inside Information. Two days ago, Vox reported that Venezuela is “a dictatorship on the verge of collapse.” Nightly news images show food riots in the streets. CNN Money reports that in 2013, $20 was equal to 629 Bolivars. As of last month, it now takes 196,000 bolivars to equal $20. Think about that, a loaf of bread that costs $3 in 2013 would cost $935 today… if you could even find a store with any loaves on the shelf. For people living in Venezuela, the situation is dire. Politicians and the greedy corporate insiders are busy getting their cash out of the country. Illegally. And foreign companies doing business there are under intense pressure to pay bribes to corrupt officials. FinCEN believes all Venezuelan government agencies are “vulnerable” to public corruption and money laundering. The notice claims that the “Venezuelan government appears to use its control over large parts of the economy to generate significant wealth for government officials, [state owned enterprises] executives” and their families. As the situation in Venezuela spirals out of control, U.S. law enforcement personnel now worry that the country’s vice president, Tareck El Aissami, is involved in high level international narcotics trafficking. The U.S. Office of Foreign Assets Control (“OFAC”) has designated El Aissami under the Foreign Narcotics Kingpin Designation Act. Once again, that means more possibilities of Venezuelan money laundering. And that means possible whistleblower award opportunities. More on those awards below. 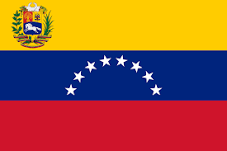 FinCEN believes that much of the Venezuelan money laundering involves state owned enterprises. In recent years, the country has nationalized many private businesses. Probably the best example is Petróleos de Venezuela S.A. (“PDVSA”). Formed after Venezuela nationalized private oil companies doing business in the country, PDVSA has been rife with corruption. Because Venezuela is reported to have the largest oil and gas reserve in the Western Hemisphere, the company has lots of money. It’s reported revenues in 2014 were $128 billion. Unfortunately, money often begets corruption. There have been several U.S. prosecutions of businesses and people paying bribes to PDVSA officials in the hopes of doing business with the company. Why the Sudden Interest in Venezuelan Money Laundering? Of more interest to U.S. banks, the country has also imposed strict currency controls to keep money from leaving the country. Those controls also prohibit using U.S. dollars for most economic activity. Why? Because the local currency is worthless and the regime wants to keep money from leaving the country. * “Transactions involving Venezuelan government contracts that are directed to personal accounts. * “Transactions involving Venezuelan government contracts that are directed to companies that operate in an unrelated line of business (e.g., payments for construction projects directed to textile merchants). * “Transactions involving Venezuelan government contracts that originate with, or are directed to, entities that are shell corporations, general “trading companies,” or companies that lack a general business purpose. “Members of the regime and their allies direct government contracts to their associated companies to import goods and obtain approval from the Venezuelan Corporation of Foreign Trade (CORPOVEX) for foreign-domiciled companies—often shell companies—to participate in the import activity. Both the importers and the receiving government officials often divert a portion of the merchandise to the black market, where profits are higher. * “Documentation corroborating transactions involving Venezuelan government contracts (e.g., invoices) that include charges at substantially higher prices than market rates or that include overly simple documentation or lack traditional details (e.g., valuations for goods and services). Venezuelan officials who receive preferential access to U.S. dollars at the more favorable, official exchange rate may exploit this multi-tier exchange rate system for profit. * “Payments involving Venezuelan government contracts that originate from non-official Venezuelan accounts, particularly accounts located in jurisdictions outside of Venezuela (e.g., Panama or the Caribbean). 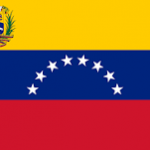 “Export businesses in South Florida that specialize in sending goods to Venezuela are particularly vulnerable to trade-based money laundering (TBML) schemes. These include businesses that send heavy equipment, auto parts, and electronics (cell phones and other appliances) from Florida to Venezuela. * “Payments involving Venezuelan government contracts that originate from third parties that are not official Venezuelan government entities (e.g., shell companies). “Public reports indicate that the use of third parties, or brokers, to deal with government entities is common in Venezuela and is a significant source of risk. Brokers, particularly when colluding with corrupt government officials, can facilitate overseas transactions in a way that circumvents currency controls and masks payments from SOEs. * “Cash deposits instead of wire transfers in the accounts of companies with Venezuelan government contracts. * “Transactions for the purchase of real estate—primarily in the South Florida and Houston, Texas regions—involving current or former Venezuelan government officials, family members or associates that is not commensurate with their official salaries. U.S. financial institutions are subject to many laws regarding anti-money laundering (AML) and the reporting of suspicious transactions. Of note are the Bank Secrecy Act and the Patriot Act. These laws require banks to apply enhanced due diligence to private bank accounts held by senior government officials. Since so many of Venezuela’s major industries are nationalized, this requirement should extend to the executives of these government owned companies. Some folks are wondering how bribing Venezuelan government officials or laundering money for executives from certain Venezuelan industries gives rise to whistleblower award opportunities. Good question. There are two award programs that may be available to bankers and others with information about Venezuelan money laundering and public corruption. After the savings and loan crisis in the 1980’s, Congress passed the Financial Institutions Reform, Recovery and Enforcement Act of 1989. FIRREA for short. That law has been expanded and is now one of the most powerful tool available to bank regulators and prosecutors. FIRREA allows prosecutors to penalize banks who engage in behavior that place the bank at risk. When a bank collapses, the FDIC is often called in to bail out depositors who lost their money. There is also a real but difficult to quantify impact on confidence in the banking system. When a bank fails, the public’s confidence in our financial system is shaken. Although FIRREA was originally intended to prosecute bank officers who used local savings and loans as personal piggy banks, we believe the law can be used to prosecute serious AML violations. Two benefits of FIRREA are that the law pays whistleblower awards of up to $1.6 million and has a good track record of protecting the identity of whistleblowers. Because there is no public filing (such as that required by the False Claims Act), it becomes much easier to protect the whistleblower’s identity. The FCPA has been the government’s primary tool in combatting foreign corruption and bribery. The U.S. government, and the governments of most other developed countries, want to ensure that businesses compete on a level playing field. Pay-to-play schemes are illegal under U.S. law. Both the SEC and DOJ will enforce foreign bribery laws if the company is based in the United States, if any portion of the bribery takes place on U.S. soil or if a foreign company offers shares of its stock on a U.S. exchange. The SEC Whistleblower Program pays percentage awards for those who have inside information about these schemes. Awards are paid from the amounts collected from the wrongdoers. (The wrongdoer includes the company offering or paying the bribe.) Once again, the SEC has a great track record of maintaining confidentiality. We saw the United States government go after HSBC a couple years ago for allegedly assisting Mexican narco-terrorists launder money through the Mexican affiliate of the bank. Even though HSBC is a U.K. based lender, it has offices here and is subject to U.S. law. Some banks simply want the large deposits and therefore close a blind eye to the origins of the money. Banks also make huge fees for converting currencies and moving money around. We believe that a few corrupt bankers may even have received bribes for assisting certain corrupt Venezuelan officials expatriate funds. Obviously reporting corruption and money laundering is the right thing to do. The regime in Venezuela has become quite violent. Reports of human rights violations are mounting. Anything we can do to keep corrupt politicians and corporate executives from profiting of human suffering is a good thing. We also understand that standing up to corruption isn’t easy. That is why Congress authorized these award programs. They hope to provide incentives for people to step forward. The SEC and FIRREA programs also have a great track record of keeping your identity confidential. We can help you evaluate the strengths and weaknesses of your case before you file. or by phone at (414) 704-6731 (direct). All inquiries are protected by the attorney – client privilege and kept strictly confidential.